QTY 123456789101112131415161718192021222324252627282930313233343536373839404142434445464748495051525354555657585960616263646566676869 Please select a quantity. Decorate a bare wall in your home with Stratton Home Decor Acrylic Tear Drop Mirror. Made from solid metal and acrylic with a silver finish and small crystal beads, this round mirror is whimsical and pretty. Display it among pieces of contemporary decor for a chic look. 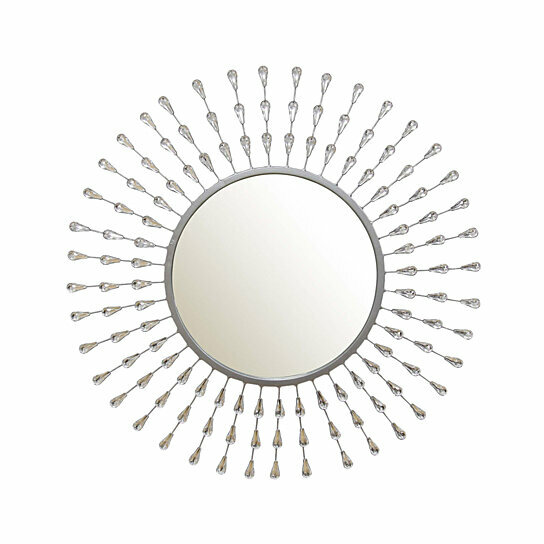 Decorate a bare wall in your home with Stratton Home Decor Melissa Tear Drop Mirror. Color: Silver. Material: 50% Metal, 25% Acrylic, 25% Glass.